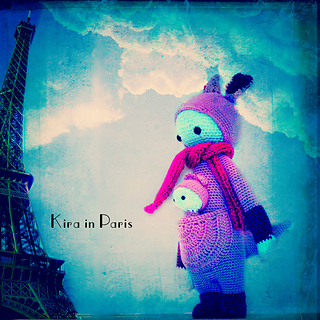 Kira can be seen from afar by her long scarlet colored scarf - so the koalas sometimes call her the “Red Kira”. 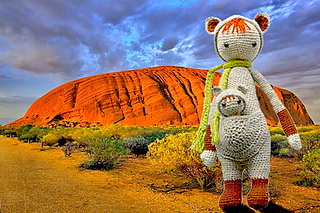 In her spacious pouch she keeps everyday things and her impressive collection of antique cushion springs - and of course her baby kangaroo feels most at home here. 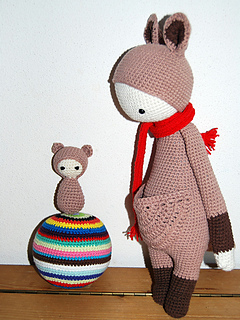 After a furious victory in the shadow boxing championship, the two prepare themselves for the world championship in long-jump. 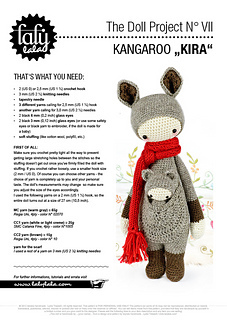 Kira is approximately 10,5 inches tall. 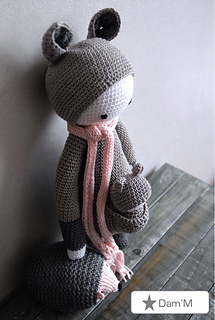 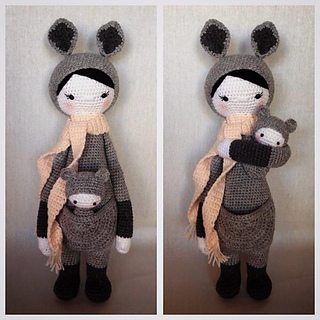 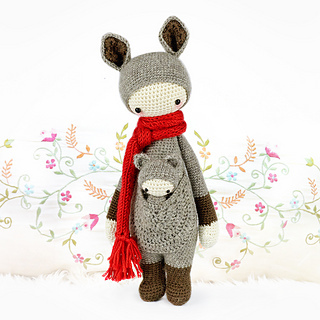 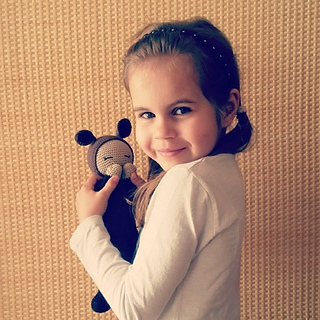 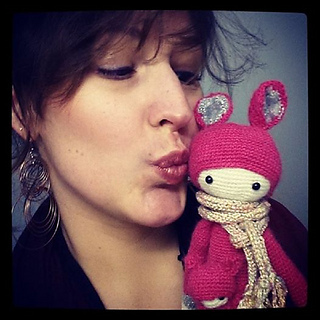 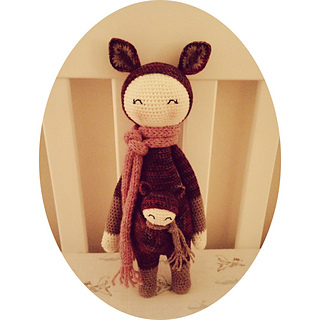 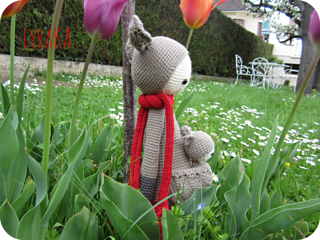 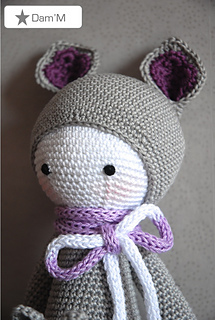 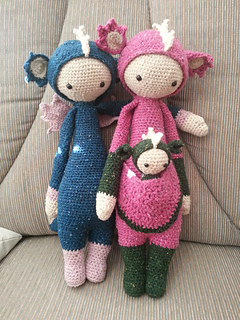 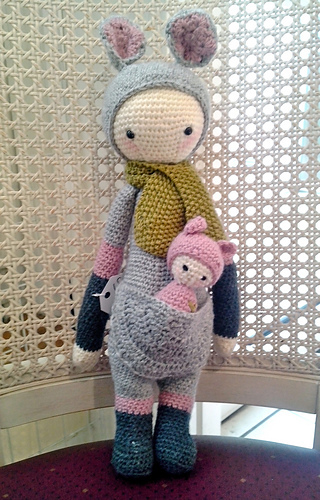 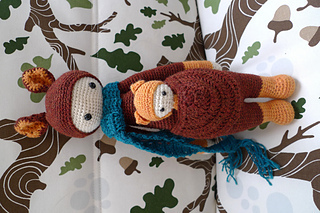 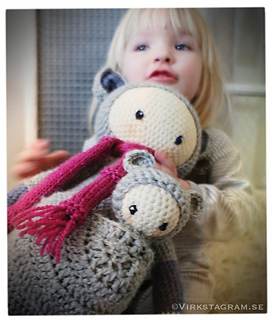 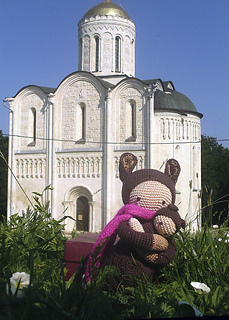 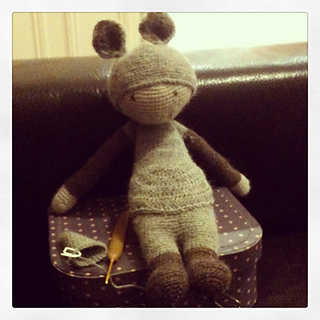 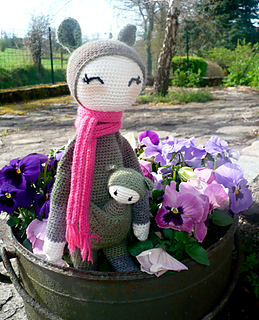 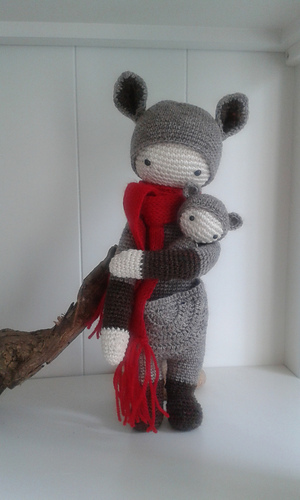 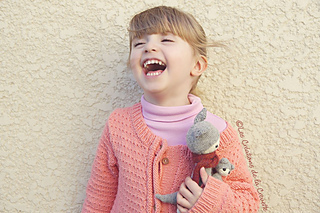 She is made out of cosy 4 ply tweed, cotton wool and love. 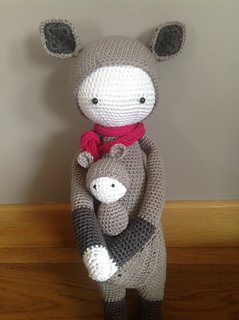 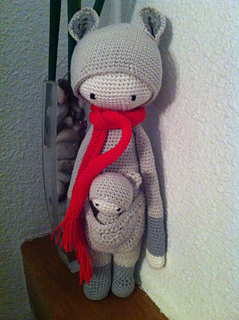 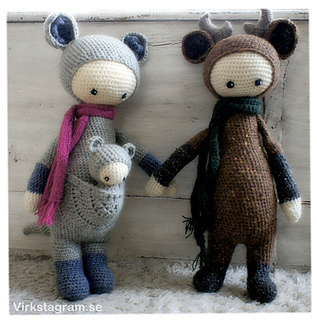 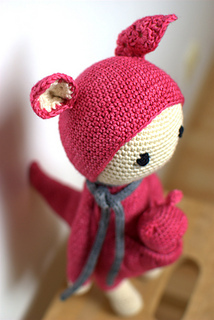 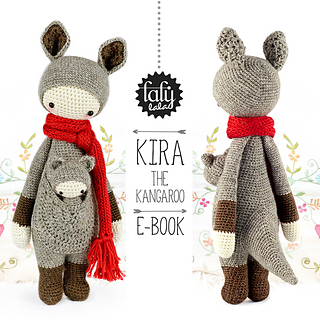 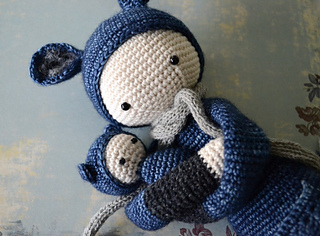 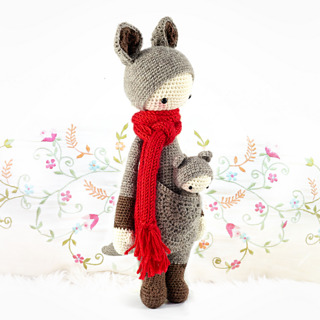 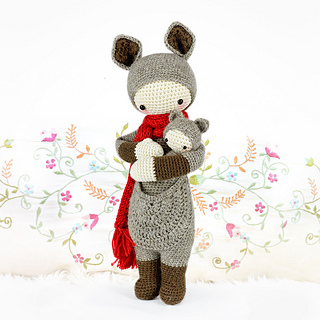 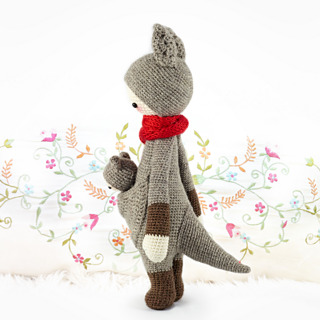 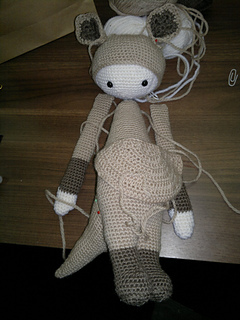 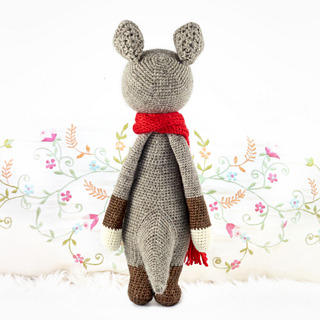 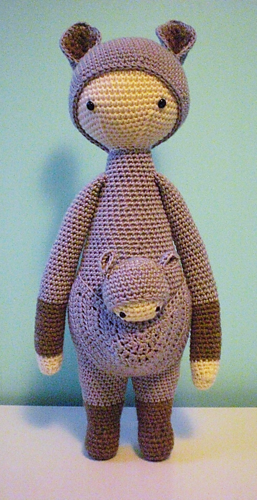 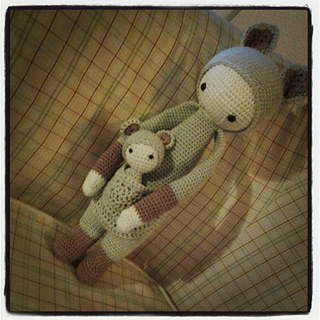 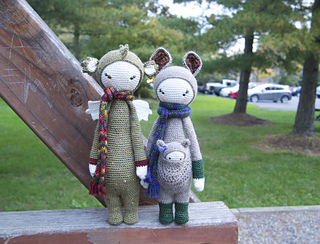 For your little kangaroo you can use every yarn you prefer - she’s getting taller or smaller but she’s always really cute!